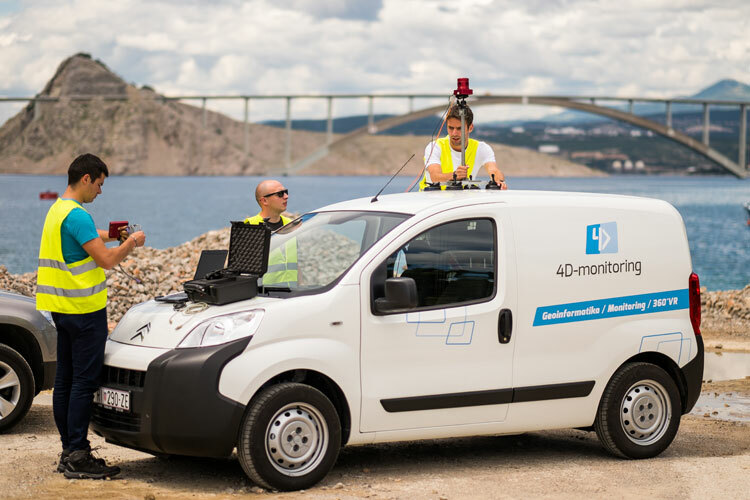 4D-monitoring is a company specialized in geographic information systems (GIS), and they serve clients in the public sector such as cities, municipalities and public utility companies. 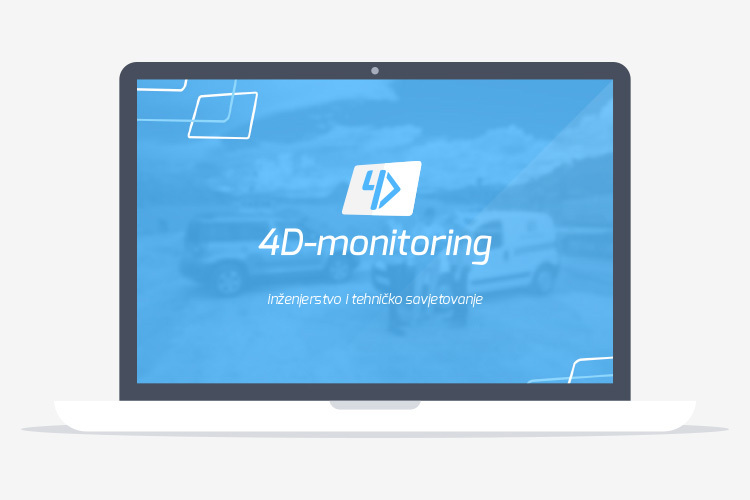 I created the logo design and complete brand identity for the company 4D-monitoring. I also designed the company's website, documentation and vehicle graphics. We tried to emphasize the company's progressive direction, and hint at the importance of tablet computers in the process. 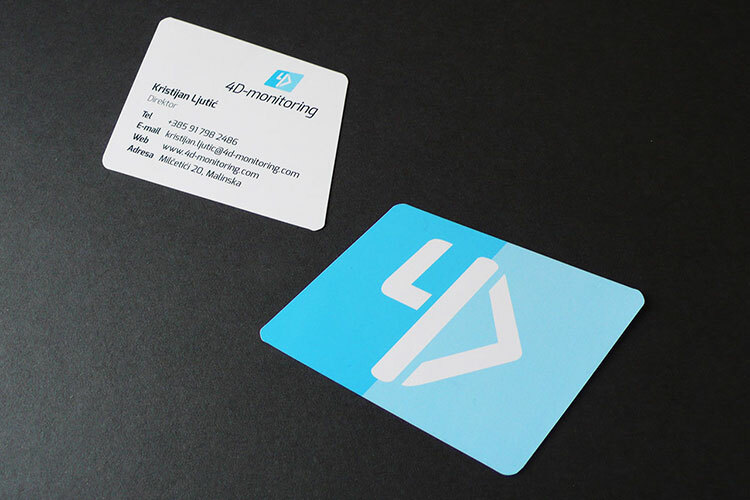 I'm especially proud of the business card design, which is custom-cut in the shape of the logo. We set the visual brand as a priority at the time of starting our business, first and foremost because of the positive impression we’d get when a company (especially a small one) that had a professionally defined visual brand reached out to us. This proved that somebody cares about their business, and invested additional time in shaping their approach toward their users. Our desire was to have a consistent visual style which represents our company in all the aspects: from the sign at the entrance in our offices, the logo in our email signature, letterhead, proposals and invoices, business cards, technical studies, all the way to vehicle graphics. We expected that this approach will bring recognition to our company, and we’re proud that we've achieved that – clients and partners tell us years later “We remembered you because of your unusual business card”, or “We saw your people doing field measurements, we recognized the car because of the labels”, all the way to the positive comments about our documentation that is, along with the technical formatting required by our profession, visually attractive because we adhere to the branding guidelines our designer provided. We defined our logo to be attractive, progressive, technical as well as somewhat “fun” and unusually shaped, so our clients react with interest. 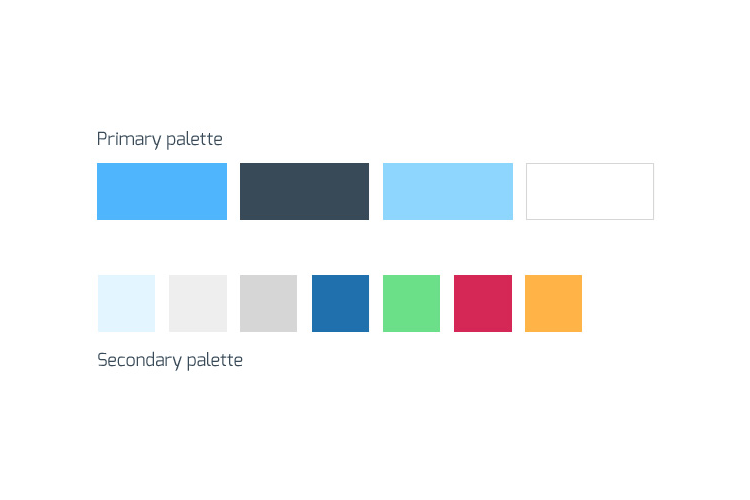 Over the years we confirmed that all our clients notice the consistency in our visual brand application, even those we would never expect, especially because our company is in the engineering and technical consulting niche, not sales or marketing. 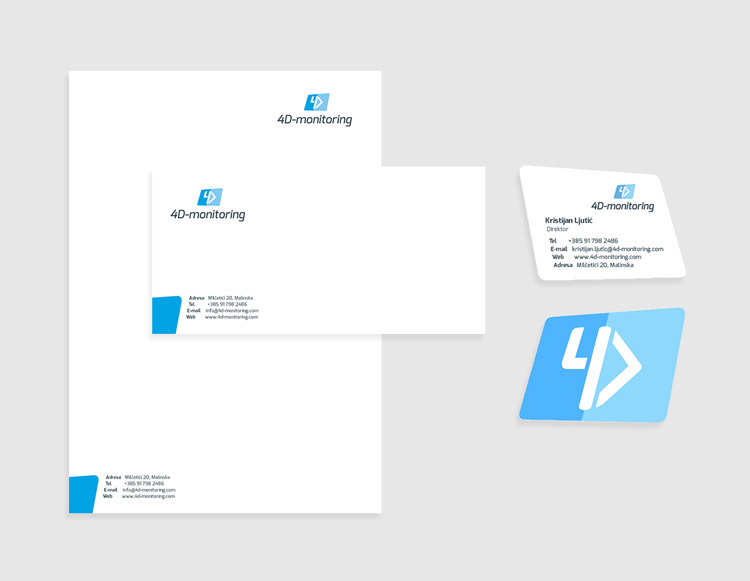 Our communication looks professional, and we don’t consider visual branding too large an investment – objectively, it’s not a big expense, and we believe it’s an essential first step for any company. Vehicle photo by Luka Žanić.